I have ridden all my life. My family aren’t horsey, but I started when I was three and pretty much rode up until 4 years ago. I gave up due to my back issues and the desire to focus on babies. I really want Baby to ride, not in a pushy mum kind of way (honest!). It has been such a large part of my life and I would love her to experience it. Also I believe riding teaches children many important things, such as calmness, patience, reward for effort, team work, caring for an animal etc. 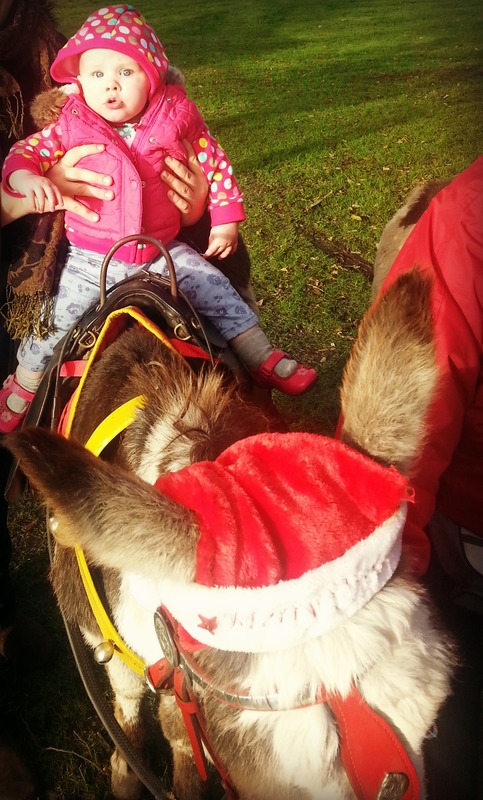 Anyway a while ago I blogged about my 2013 Bucket List and one of my objectives was for Baby to sit on a pony. 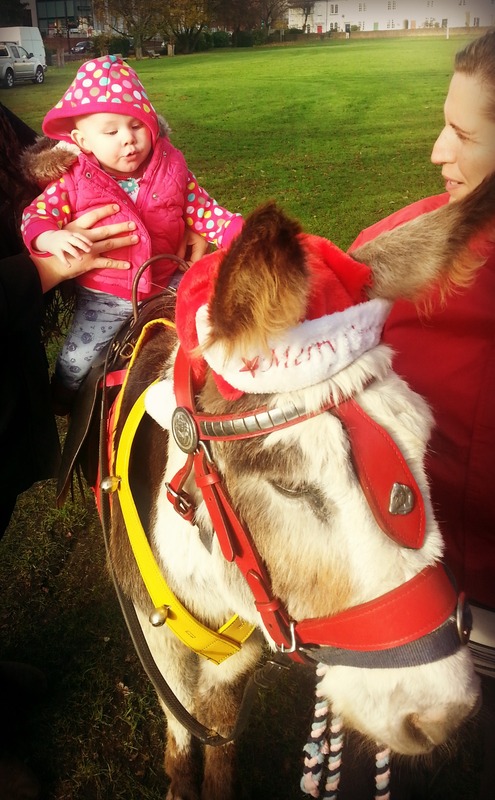 Well… we couldn’t find a pony, but we did find a Donkey! I asked the lady if she could just sit on the Donkey, but Baby seemed so comfortable, so I asked the lady to walk on and Baby loved it! She started laughing and trying with all her body to urge the Donkey to go quicker. I never thought she would be so confident. 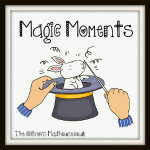 It was such a Magic Moment.